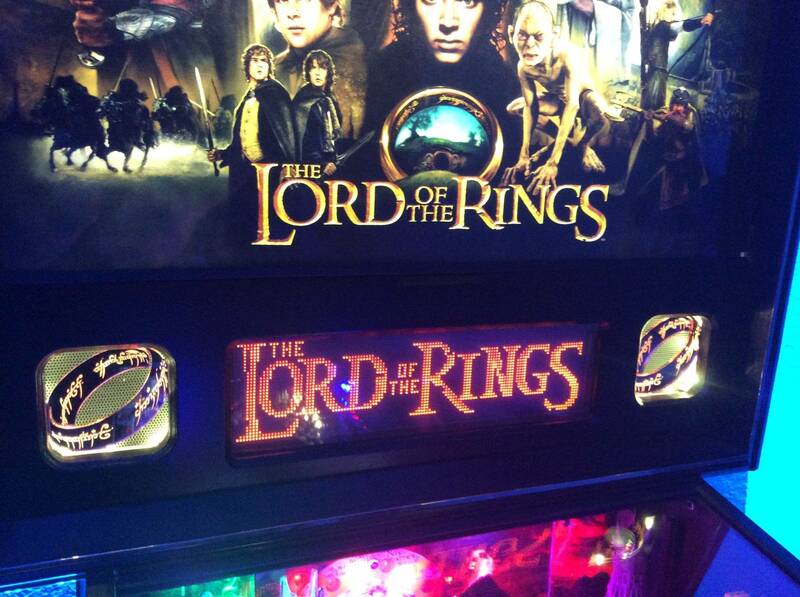 Got a weird combo apparently on my lotr. I bought it with flipper fidelity speakers in it. 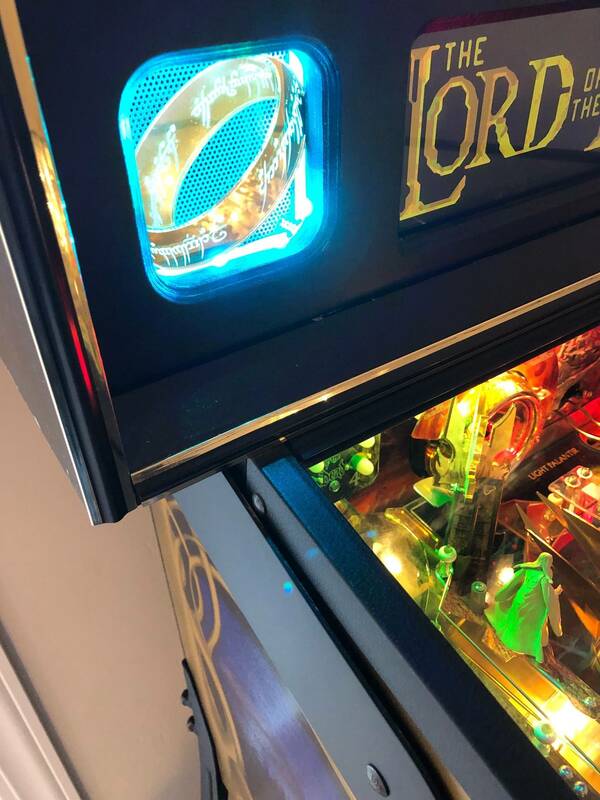 My previous lotr had speaker lights and the ring acrylics. I wanted that look. So I ordered the acrylics and light kits. When I went to install, I found the flipper fidelity speakers have a 3/4” wood ring that seats against the speaker grill. Thus, it seals off most of the color from the speaker lights. Major downer and totally ruins the effect. Anyone else had this problem? Solutions? Where did you get the Speaker Light Kits from? Wood rings? That's a new one. I remember FF using wood spacer blocks for awhile (years ago), but have been using the black rings (made of who knows what) for the past 5+ years. In any case...a picture of the back of the panel would be helpful. Showing the speaker light frames and the speaker rings should clear things up. Pbl. The rings might not be wood. I’ll get a pic tomorrow. I had to bend the frame of the speaker lights to go around the ring. Not ideal. Yeah....not ideal and not how it was designed to be done. I have attached some pictures showing the manual as well as another example showing how the frames were designed for these spacer rings to be placed ON TOP of the light frames. 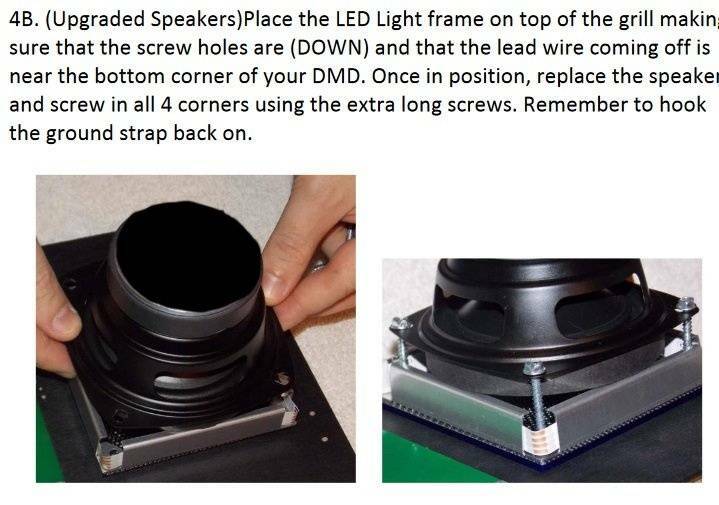 The longer screws that are needed for this type of install are included with these Speaker Light Kits. I would also recommend that you mount things in this order when correcting the install: (back of) speaker panel, acrylic design, light frame, speaker grill, speaker. This will let the etched detail in the design show more clearly and it will also light up the grill in the back instead of the speaker....giving the lit area a cleaner and less cluttered look. Mounting it this way effects different designs in different ways, but the general rule is the more etched detail the design has....the more important it is to make sure the speaker grills are not directly behind the designs. I have attached an AC/DC pic to demonstrate how much cleaner a design can look when the speaker grill is mounted behind the light frame. Thanks for that. I don’t recognize those instructions, and no longer screws were included. I’ll look for some around the house. Will that put the back of the speakers too far back? Like into the boards? 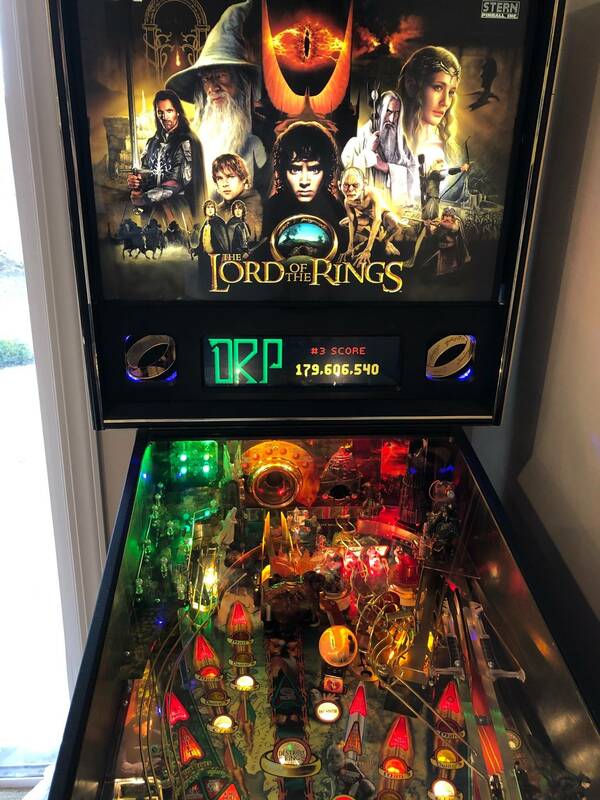 I just looked and the instructions Pinball Life made themselves doesn't show a picture or explain that the spacer rings (if attached) go ON TOP of the light frames. My instructions say the same thing, but the picture included in my instructions do show how they are supposed to be mounted. The longer screws also include a paper saying they are only needed for the upgraded speakers that have the spacer rings attached to the front of them. The Pinball Life instructions DO mention the longer screws (which should have been included), but as I said, no picture to clarify things. Those rings are put on the speakers because the speaker needs space on the front of them as the tweeters on the upgraded speakers protrude out past the speakers mounting points. If a speaker light kit is being used, their light frames can provide this space the extended tweeters need....so the rings aren't actually needed if the speaker lights are being used. Having said that, in your case I would prefer the rings to be on there as it is not an issue and makes it so the grill can be placed behind the light frame as I described. If the spacer rings were not there, you would have to mount the speaker grill right behind the acrylic design....or not use the speaker grill at all. 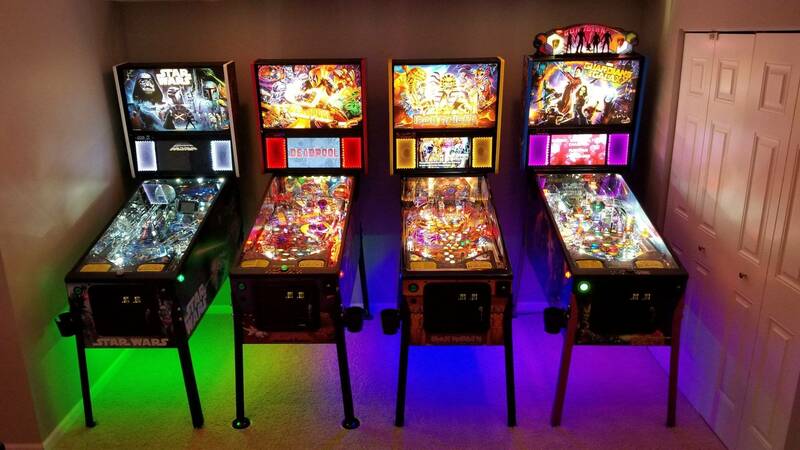 There is no issue with the speaker light kit and speakers with spacer rings going too far back into the game when mounted...except in SPIKE and SPIKE 2 games on the right side, which is a known concern and addressed with those games. The size of those longer screws can be hard to find (8 x 1 3/4" sheet metal screws). You can send me a PM with your address and I can send you a pack if you would like. What Doug recommends is good. I had a similar issue in my POTC and ended up ordering new speakers from FF, he sells them without the ring as special request. I used these plastic rings from this guy and they worked great on my AC/DC Premium. 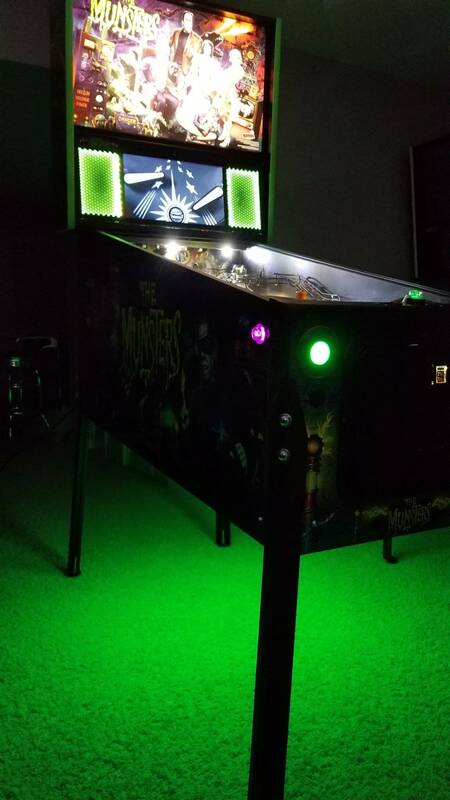 5050 RGB Waterproof LEDs fit perfectly in the ring and end up with a good look on my machine. Thanks for taking the time to clarify all this. Especially, if I’m reading right, supporting a product that’s not even yours. I’ll see if I can find those screws around the house. If not, I’d take you up on you sending them. Incredible customer service I have to say. No, I'm not that selfless...if this would have been a knockoff speaker light kit from someone else, you wouldn't get much help from me. Maybe some advise or guidance, but not a replacement pack of hardware. If you bought them from Pinball Life they should be my Speaker Light Kits. They use their own install instructions and sometimes include different mounting hardware, but the light kits are from me. That is why I said the longer screws should have been included...because I put them in there myself when I sent the light kits to them. That is why I asked where you got the speaker lights from, as some other speaker light frames won't work well with upgraded speakers, specifically the ones with the spacer rings attached to them. I'll get the longer screws sent out to you and that should take care of things. Doug is great, I had issues with the same thing and I bought Speaker Plates from him that would work with my sterns. Yeah....the SPIKE and SPIKE 2 games are a completely different can of worms. Stern had that whole backbox that is mostly empty space....and they decide to put the power box directly behind the right speaker. I'm glad that Michael at Flipper Fidelity offers his SPIKE and SPIKE 2 speaker systems WITHOUT the spacer rings if a person chooses that they are using Speaker Light Kits when they purchase directly from his website. That can make things much easier concerning his Flipper Fidelity speakers and my Speaker Light Kits in SPIKE and SPIKE 2 games. I really do appreciate all your help. I found screws and got it all mounted up. With the speaker grill flush against the acrylic, the lighting was kinda crappy. With the grill behind the light frame I could see the leds and screws from certain angles. Is there some sort of diffuser I can get as an add-on to make it look more like the ones pictured above? No. I'm not sure which ones pictured above you are talking about. Any of the pictures I have posted are as the light kits look with their included parts. No type of diffusers were used. I was referring to the later sterns people showed in pictures above. I would love it to look like that but with my ring acrylics over the top. I know it’s different speaker and such. It’s hard to photograph with the lights on (it actually looks better in the photo) but that’s the screw showing there). Something translucent like frosted glass would be cool in that situation. I tried parchment paper but it didn’t help. I'm sorry you don't like the light kit. I really do. Mostly just figuring out my particular installation. Not a problem with your kit. And very much appreciate your service and follow up. I would definite buy your stuff again.